In four days, U.S. 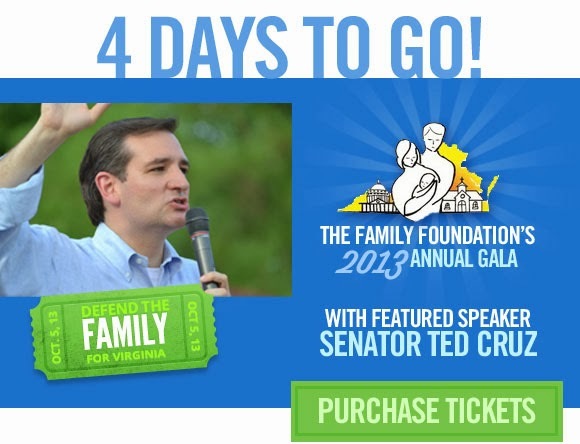 Senator Ted Cruz will address the largest political gathering of conservatives in Virginia, The Family Foundation's 2013 Annual Gala. Do you have your tickets, yet? On the day he speaks — this Saturday evening, October 5, at the Greater Richmond Convention Center — it will be exactly one month to the election of a new governor, lieutenant governor and attorney general, as well as the entire House of Delegates for the Commonwealth of Virginia, and we're building momentum! You will hear Senator Cruz speak of his inspiring life story and of the challenges facing America today. 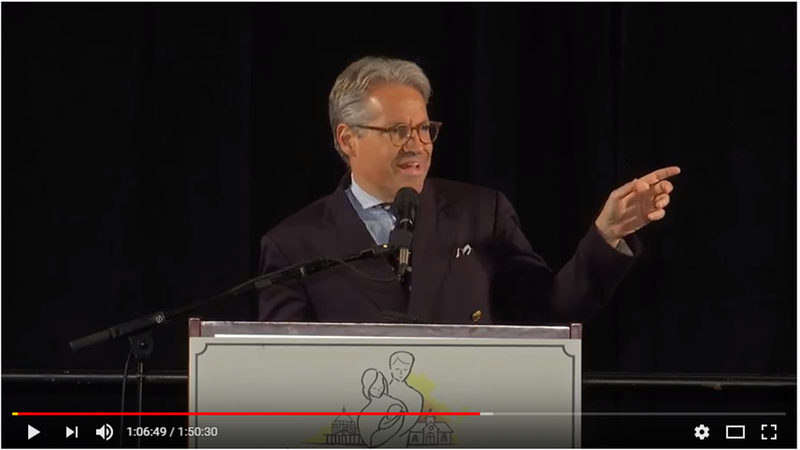 We invite you to come and listen to Ted Cruz; his father Rafael, a pastor; and Attorney General Ken Cuccinelli, and to be among the more than 1,000 politically-active conservative Virginians. Come be inspired and meet like minded Virginians who share your traditional values, and hear one of the conservative movement's most significant national leaders, U.S. Senator Ted Cruz. Please click here or on the image below and follow the link to purchase your tickets before they're sold-out!